Discuss problems with regard to fuel price hike immediately, UNP asks govt. The UNP yesterday asked the government to summon Parliament immediately to discuss problems triggered by the recent fuel price hike, MP Ravi Karunanayake said. Mr. Karunanayake said that he, along with his colleagues, handed over the letter written by his leader Ranil Wickremesinghe to the Prime Minister’s office. UNP MPs Dr. Harsha de Silva, John Amaratunga, Eran Wickramaratne and Joseph Michael Perera also participated in this event. 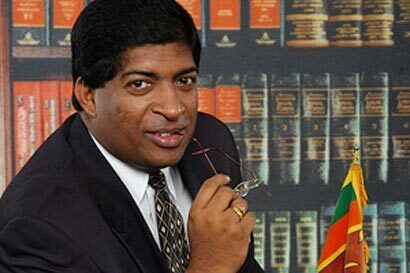 Mr. Karunanayake told the Daily Mirror after the event that had the UNP been in power at the moment, petrol would have been sold at Rs.110 a litre, diesel at Rs.99 a litre and kerosene oil at Rs.89 a litre. “We can justify our prices. According to the present prices in the world market, we can maintain such rates. By increasing diesel prices by Rs.31 a litre, the government is going to make a lot of money. It is serious,” he said. 6 Responses to Discuss problems with regard to fuel price hike immediately, UNP asks govt. Please advise goverment how to do that.We will support that.But dont try to get political advantage.We will never allow UNP government.UNP traitor to country. namal how would you say that UNP a traitor??? ?U came from ur mother then ask her. Ravi the LTTE lover and traitor, should be demonstrating in front of US embassy in SL to demand the lifting of the US unilateral oil embargo on Iran, from affecting small emerging economies as in SL. All the other traitors like RW and JJ should join this jackass. Nicholas is a traitor too. The US has always been stronglt anti LTT; they were the 1st to ban the LTT and the US ban was the beginning of the end for the LTT. Remnant LTT rum are deeply appreciative of Nicholas with his US bashing. You are not Arap but Parakrama as exposed by the old wise crack ND yesterday. Own up Parakrama, shame on you. I am still breaking my head to the crack the code of infidel Olit Nibera. Do not take ND’s comments too seriously as they are like a pendulum. Depending on the man’s mood one day he licks MR’s arse and the next day he condems them. The seeniles brain is failing and he has declined a pint of my royal blood as well! Republican party of US government never talk about human rights of thalaiban,Gadapi or mujaheendeen.Beceause there are terorist.Ravi,Sajith.try come power talking about human rights of Terrosist who were in sri lanka.and doing traitor things to country.They hoped same thing happened here what was happned in middle east.You ask from who is your real father.If u had good father dont try to support ruin own motherland.